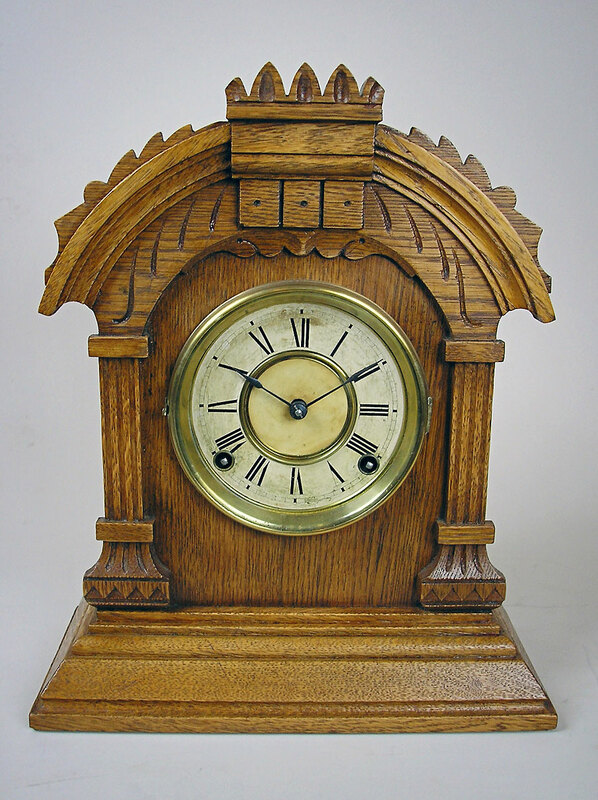 This is an American shelf clock by the Ansonia clock company of New York. 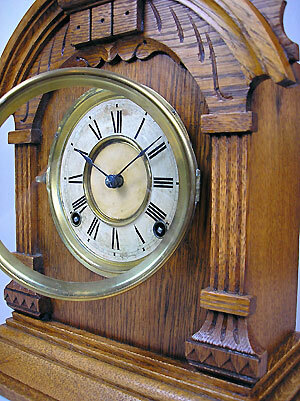 The clock has an eight-day gong-striking movement. 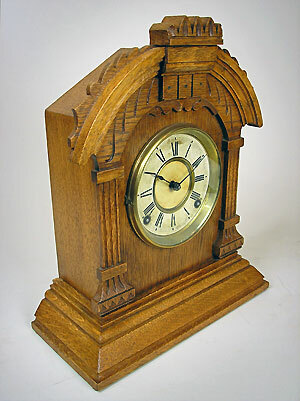 The glazed paper dial has spade hands and Roman numerals.